The first round of the Ladbrokes Challenge Cup threw together National League Premier Division side Rochdale Mayfield, against a Crosfields side from Warrington who play their rugby in National League Conference Division Two for the live streamed game on the BBC website. Forty-eight amateur sides were included in the first round, to be joined later in the competition by Championship and Super League teams. 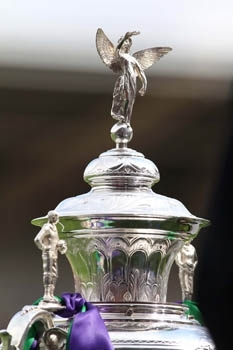 Being played for the 115th time, the first being in 1896, the BBC have the screening rights and will be live streaming a game in each round up to and including the fifth round of the competition. From the sixth round onwards coverage will switch to BBC1 and BBC2 right through to the final at Wembley on the 25th August.